Top Left: The 2018-2019 Merced FFA Sweetheart, Amacia Martinez Howell, passing down the title to Lauryn Knott! Top Middle: Andrea Campos serving delicious crab! Top Right: Ag teacher, Mr Mua, engaging in conversations with guests! 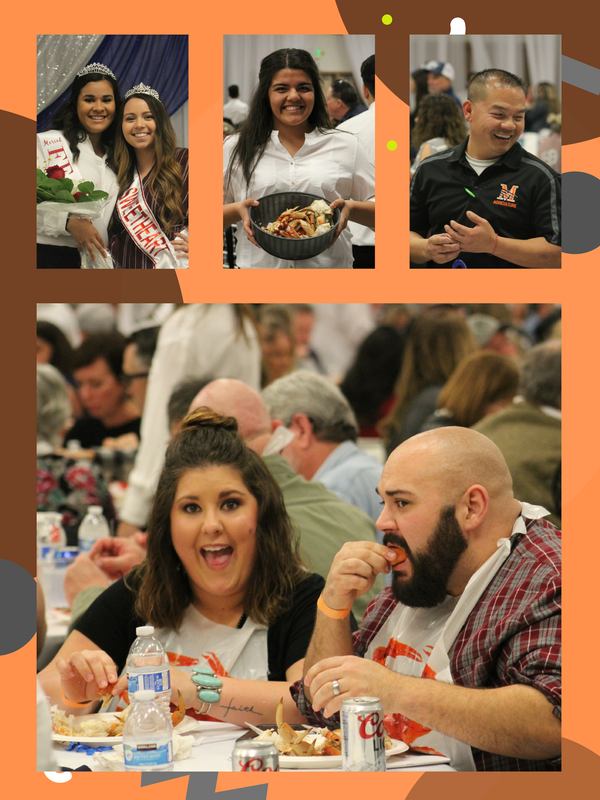 Bottom: Guests enjoying the crab and company at our 6th Annual Crab Feed! Top Right: Jeovanni Alvarez receives a hockey stick from a player during our Mid-Year POA Trip! 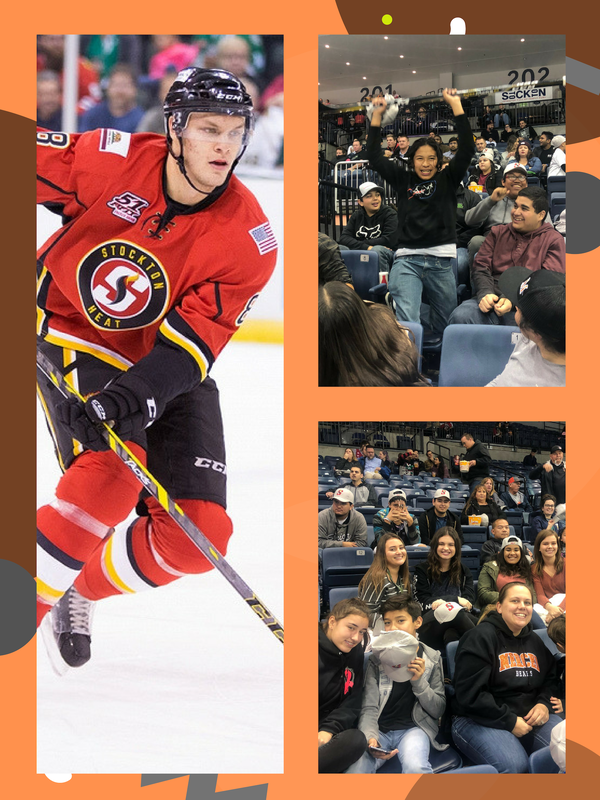 Bottom Right: Our top 35 POA recipients enjoying their time at the Stockton Heat hockey game! Top Left: Chapter Secretary, Oscar Torres, giving the Secretary's report! 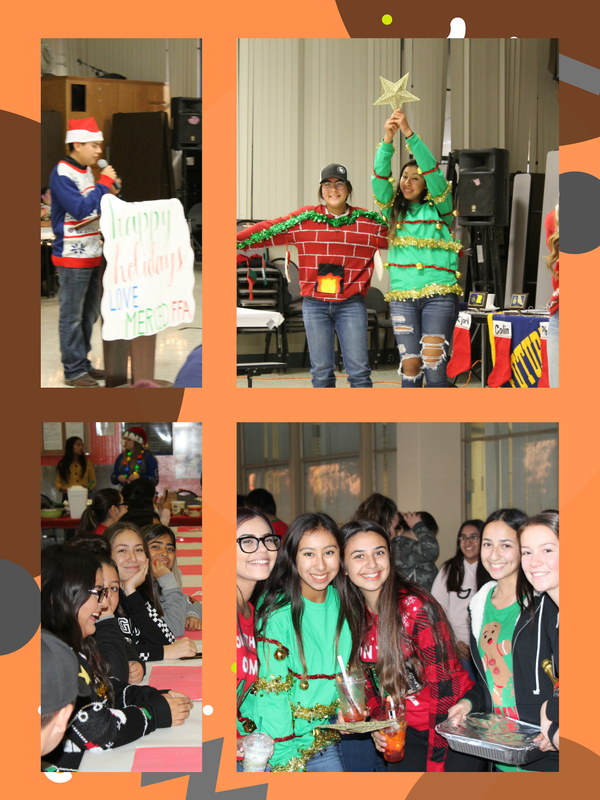 Top Right: Jocelyn Ramirez and Jewels Perez win the Ugly Christmas Sweater contest dressed as a fireplace and Christmas Tree! Bottom: Members enjoying our December Potluck! President Brevin Nannini, Vice President Valerie Torres, Secretary Ava Flores, Treasurer Julius Burelson, Reporter Kayla Horn, Sentinel Alberto Coronel-Solorio and Historian Natalia Robinson! Top Right: Sweetheart, Amacia Martinez-Howell, Lauren Palumbo and Ag Teacher Mrs Kuhr enjoying each others company! Middle Left: Siblings, Serendipity Burelson and Julius Burelson, smile for the camera! Bottom Left: Sweetheart Amacia receives a flower from sweetheart nominee, Lauren Palumbo! Bottom Right: A few of the 42 members who received their Chapter Degree! Bottom: (from left to right) Anastasia Foutch, Kjori Murakami, Jared Campos, Frankie Carbonaro, Dylan Hair, Christopher Flores and Kylie Buie competing at the Fresno State Finals! 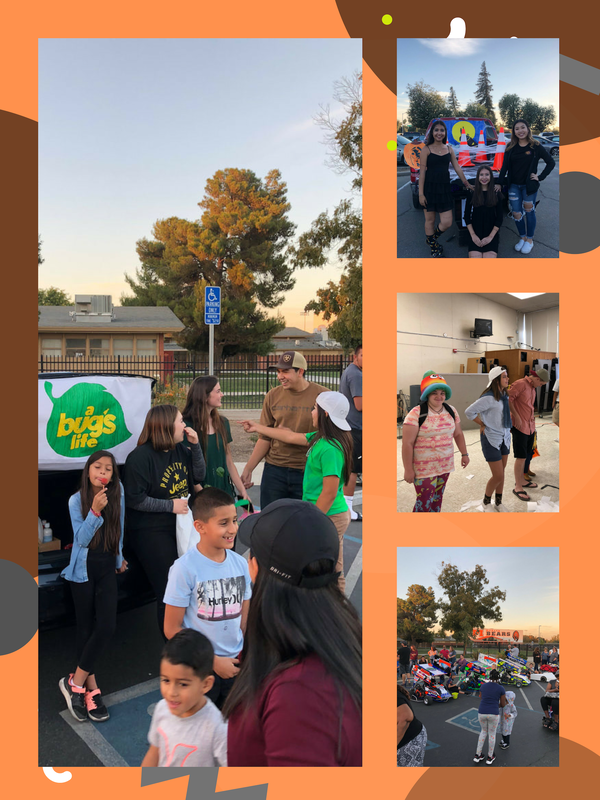 Left: Patricia Webster, Reagan Pellisier, Jocelyn Ramirez and Isaac Silva pass out candy to the youth of Merced at our Fall Festival! Top Right: Jessie Mendoza and Leah Vang showing off their well decorated trunk! Middle Right: Kayla Horn, Serendipity Burelson and Colin Frost Participate in our annual costume contest! Bottom: The Go Kart club came out to help pass out candy at our trunk or treat! Top Left: Debby Miller playing a game of Kerplunk! Top Right: Julius Burelson showing off his giant uno cars! Bottom left: Chapter President, Jared Crossman, and Chapter Secretary, Oscar Torres, conducting the meeting portion of our back to school carnival. Bottom Right: Janessa and Anya competing to see whos duck finishes first! Top left: Lauren Palumbo serving tri tip dinners to customers! Top Right: Fatima Guzman shows loads of excitement at our Tri-tip fundraiser! 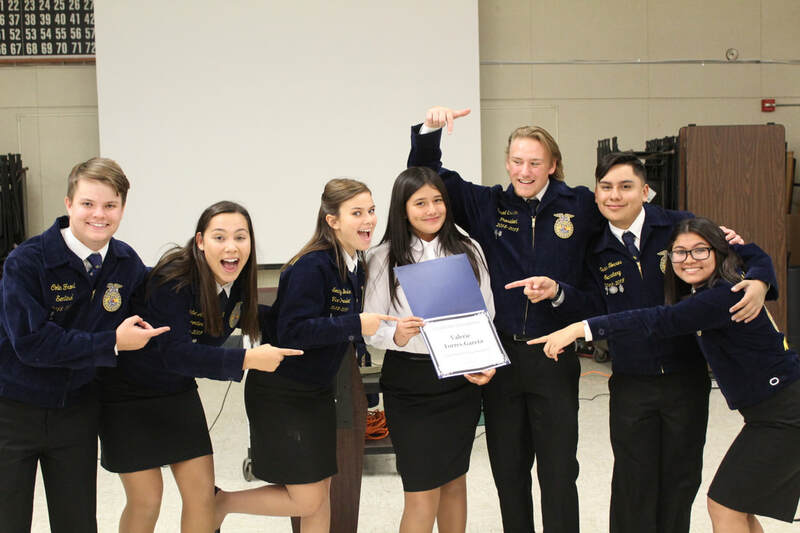 Bottom: 2018-2019 Merced FFA Sweetheart, Amacia Martinez-Howell, cheerfully collects tickets and hand out dinners! Top: Ag leadership students recruiting new members at our 3rd annual Ag open house! Bottom: Ava Flores and Katelyn Huie posing for a photo at our Photo booth!